Dear Croatian Diaspora, In this day of age, with technology shrinking our world and making it possible for people to make an impact from anywhere, the Croatian diaspora has never been more important than now. The Contributions the Croatian diaspora have made to the Homeland are the bedrock of Croatian social, political and economic life. 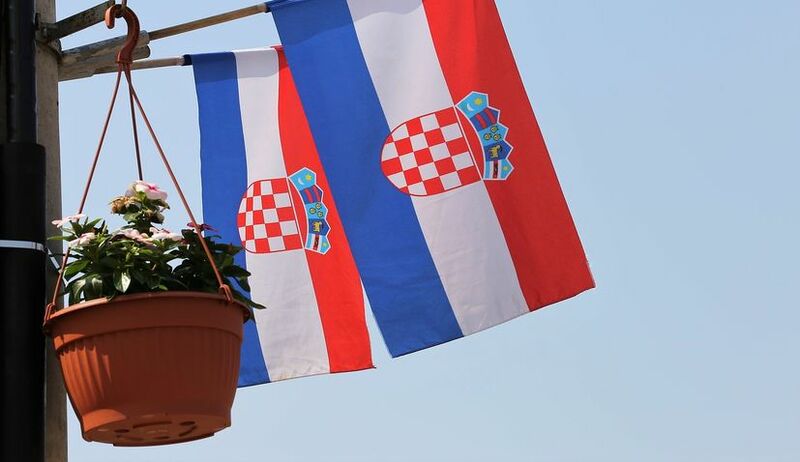 Keeping our culture, customs, language and history alive outside of the homeland helped to spearhead our independence and later, with the same patriotism and love for the homeland in mind, the diaspora helped to bolster Croatian tourism, making Croatia one of the most visited countries in 2018. Croatians feel a special bond to our homeland, and many do not understand the love of their homeland until they have left her to live in another country. With patriotism, love for their country, their hard work ethic and knowledge, the Croatian diaspora is the key to Croatia’s success. From the diaspora to the diaspora! On May 17-19th, join us as people from the diaspora discuss the next steps in developing tourism. We will discuss some of the opportunities that exist for diaspora as well as those that are in the making. The Overarching Goal of the Diaspora Conference is to find ways to Integrate all Croatians as one and to forge the future of the Croatian identity both in Croatia and abroad through social, economic and political solutions. Hear the stories of successful returnees who are making a difference in Croatia. 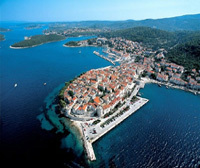 The Conference will be held in Split on Friday and Saturday while on Sunday we will be taking a ferry to Brač. If you are not able to come to the conference, panel discussions will be uploaded immediately and archived on our youtube channel. 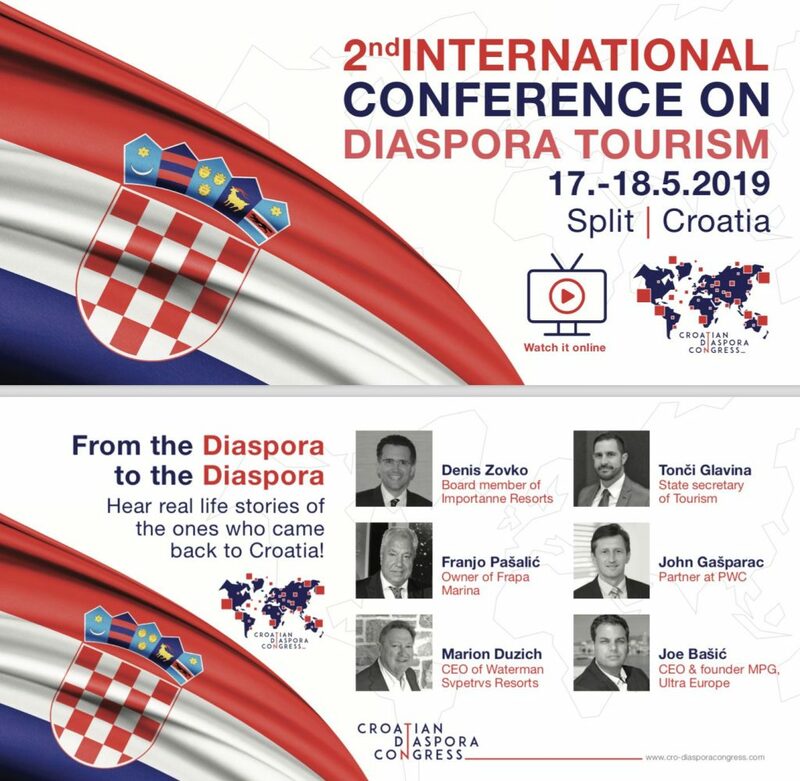 Come to Split, Watch Online, Engage in the national conversation surrounding tourism, business but most importantly the diaspora and the integral role they play in the future of Croatia. The scope of this conference is to share experiences and knowledge from diaspora to the diaspora. 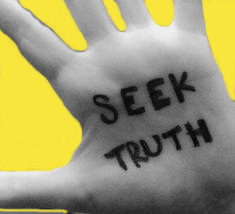 The solutions that we advocate for today will determine the discourse and direction for the future of our Homeland. Mate Paskanovic Pavkovic of “Stablo znanja”/ Tree of Knowledge speaks about this conference. Please watch the video below. – Bike ride tours of the “road of the cross” Krizni Put. Yes, we “diaspora” would loved to know that our relatives were not forgotten and at the same time educate the western world of what really occurred after 1945, with evil only starting then. Split here we come !!! How can we get rid of deep state deformities in Croatia? How can we get around multiform damnations left by udbasic legacies? How can we be Europeans if we keep rejecting and ignoring Europe ‘s ethics and moral standards? We can start by empowering a diaspora ombudsmanship with balls! A special independent body that will advise and safeguard and morph Croatia out of its historical and ideological stagnation! HOPE IT WORKS…FOR FAMILIES AND THE ECONOMY’S SAKE!